Nestlé recently announced that it is a founding partner and investor in TerraCycle’s Loop, a new subscription and home delivery service for foods and other products with reusable packaging. 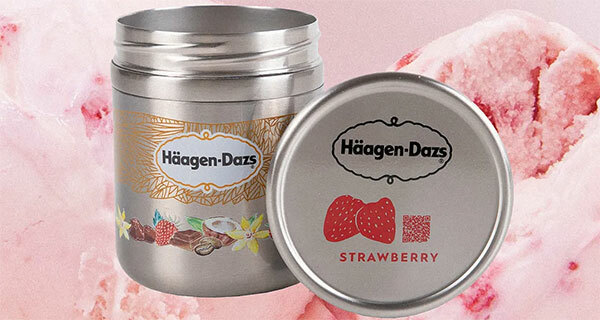 The company will now offer Häagen-Dazs in sustainable packaging on Loop. Shoppers will be able to buy non-dairy flavours Chocolate Salted Fudge, Coconut Caramel or Mocha Chocolate Cookie and traditional ice cream options Vanilla or Strawberry as part of a pilot launch of Loop in New York City for the first half of 2019. The ice cream will be sold in reusable double-walled steel containers — designed by Nestlé’s global research and development group — to keep it cold during delivery. The company also said the container guarantees that when it is opened, the ice cream melts more quickly at the top than at the bottom to allow consumers to eat it without the ice cream melting. Loop is starting out with 1,000 products and has plans to expand to more items and locations. Current partners include PepsiCo, Unilever, Coca-Cola European Partners, Mondelez International and Danone. This new partnership and the launch of this reusable ice cream packaging will help Nestlé’s commitment to make 100% of its packaging recyclable or reusable by 2025. This could be seen as a big step toward that goal since the science behind eco-friendly practices is complicated for the food packaging industry — and especially for products like ice cream. And it is high time that Nestlé make significant efforts to be sustainable. A recent report named it as one of the businesses contributing most to plastic pollution. It has been difficult for manufacturers to create alternative sustainable packaging for ice cream because it needs to be kept at a certain temperature. Nestlé is the first company to deliver ice cream in these steel reusable double-walled canisters. Other companies have attempted to make their ice cream wrapping more green, but not to this extent. An artisan ice cream shop in Berkeley, California created compostable packaging for its ice creams. Stanpac, a manufacturer of packaging supplies, developed recyclable containers for ice cream. Designing environmentally-friendly packaging that can endure temperature changes and keep products fresh can be a tough task for manufacturers. If this new steel packaging is a hit with consumers, then other big brands could copy the containers for their flavors. This isn’t Nestlé’s first transition into more sustainable packaging. The company has already worked with Danimer Scientific, a leading developer and manufacturer of biodegradable plastic products, to develop biodegradable water bottles. The CPG giant also said it would begin rolling out paper packaging for Nesquik in the first quarter of 2019, followed by several British brands. However, along with big changes to packaging comes more costs. Production prices for sustainable materials jump by about 25% when compared to traditional packaging. But that can be balanced in the payoff of more loyal customers and a better reputation. Nielsen found that a company’s commitment to prioritising the environment can influence product purchases for 45% of consumers who say they are willing to pay more for those products. Additionally, intensified consumer pressure to make food more sustainable helps bring about change. Nestlé isn’t the only company making these kinds of changes. As sustainability becomes less optional for food and beverage manufacturers, many other companies have also committed to long-term sustainability goals. Loop is partnering with other big food companies, including Ben & Jerry’s parent Unilever, so more ice cream containers could be on the way. Since this is just a pilot, a lot will depend on whether New York City consumers use Loop and if the new package meets their needs. But if it does, more CPG companies that have committed to sustainability goals could get on board with this new delivery service and transition their packaging to reusable alternatives. Loop will send you name-brand products, like Tide detergent, Crest mouthwash, or Häagen Dazs ice cream. When you’re done, you ship the empty container back, where it gets cleaned and reused for the next customer….